Evaluate your most important goals and interests. Assess your credentials to determine where you’d be a competitive candidate. 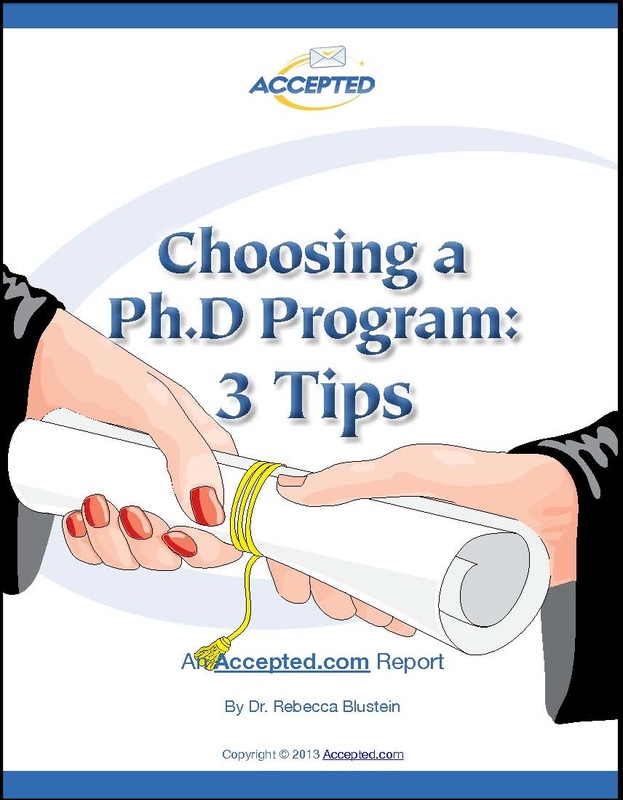 Choose a PhD program based on important criteria…criteria that go way beyond the rankings. About the author: Dr. Rebecca Blustein is an Accepted.com editor and former Student Affairs Officer at UCLA’s Scholarship Resource Center, and author of Financing Your Future: Winning Fellowships, Scholarships and Awards for Grad School. Rebecca will be happy to assist you with your grad school applications. Accepted.com has been helping applicants like you gain acceptance to top gradudate school programs since 1994. Benefit from our 60+ years of collective admissions experience by downloading this special report.